I keep hearing from people that lean to the left that Clinton’s emails are “boring” or that there is nothing interesting in them. We now also even have what are being deemed “wikileaks deniers“. I’m not sure what is meant exactly by “boring”. If you are trying to search through the emails then yest that is likely boring, hell searching through my own emails can be boring. It’s the little gems that keep adding up and form a consistent narrative that is far from boring. The following site has the Podesta files organized by topic and links directly to the email. I definitely recommend taking a look at them. Please do not take this post as “pro Trump”. It is not. Watching the British Pound plummet to historic lows and stock markets sharply sell off can be shocking to say the least. People are scared and markets hate uncertainty. What I find interesting are the pockets of safety that occurred today during the sell off. Other than the U.S. dollar, gold, silver, and U.S treasuries rallying there are a few stocks that are holding there own during the market sell off. The above is just a small sample of stocks that I came across today. All of them are up except for Tootsie Roll which is down slightly. What do the stocks above all have in common? They are brands that people know, companies that have been around along time with a great track record. They sell things or offer a service where people keep coming back and show up for more. They all pay a dividend and have done so for years. These are incredible moves as the Down Jones has sold off over 500 points today! There is safety in stocks, and I while I don’t know what will happen next week or next month I believe we will start seeing a trend into safe stocks and a move away from government bonds. As I mentioned before, we could still see a drop in stocks including the ones above, and one last push for government bonds. Looking out over the years to come I would rather own safe companies than “safe” long term government bonds. 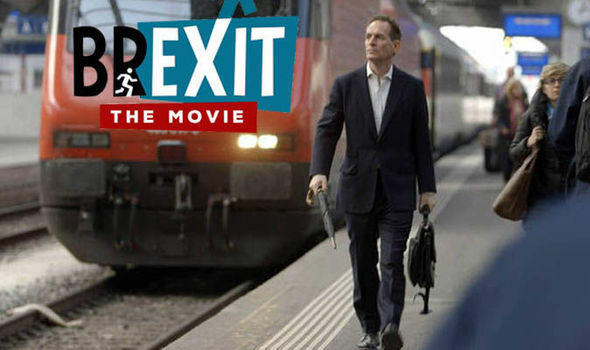 Last week I finally got to see “Brexit: the Movie”. I thought it was extremely interesting especially since we yanks don’t expand our view to whats going on in other parts of the world much. Britain is voting to either leave or remain in the EU this Thursday and it’s a pretty big deal. While keep in mind that the movie is one sided as it is in favor of Britain leaving the EU, I have no doubt that you will find it fascinating. John found that 3 of the regulations mentioned out of the 100+ found for pillows were in accurate. While that’s something and certainly disingenuous its not really enough to make me think that over regulation isn’t a legit problem. I’d chalk up the findings as the equivalent of a kitten scratch, not a black eye. While John cracks me up, he doesn’t really sell me on the benefits Britain’s receive by being in the EU. I guess they get to travel in other members of the EU more easily (how hard was it before?) and I guess free long distance calls witch Brexit the movie covers. Yay? You’ll find some other interesting segments in the movie as well, like why Germany’s economy rallied big time after WW2 while England’s suffered, or how well Switzerland’s economy is doing by not being apart of the EU. There is also a interesting case on fishing rights, sugar imports, and all the fancy offices in Brussels. One of the main reasons stated for remaining in the EU is that Britain will suffer economically if they leave. Martin Armstrong has demonstrated the lack-of economic growth since Britain joined EU. He further states that no matter the vote the EU is ultimately doomed due to one single issue, language. If you haven’t watched the movie yet, pull it up on the youtubes and give it a watch before the vote. My friend known as ‘Da bear’ has been doing wave counts on long term U.S bond rates. We are both of the opinion we will see a blow off top (that is one last push for lower bonds) before the trend reverses. U.S bonds have been in a bull market for over 30 years now. How many more years do you believe it has? I think long dated government bonds are the true macro distorted bubble we are seeing in the western world. We use treasuries for the bases of credit for damn near everything and when the trend changes so will the world financial structure. Would you pay your government to loan it money? I most certainly would not! I would rather have cash, gold, stocks… hell I would rather buy baseball cards! I lifted these directly off of Da Bear’s FB page. He doesn’t even have a profile or background image for his page which amuses me. If you have any questions regarding his counts just visit him on his FB page or in the message board. He’ll respond to you, he loves this stuff. He has wave counts for just about everything. The Ciminal vs the Bigot! Election 2016. Rock the Vote! Have you ever seen such a ridiculous presidential election? That’s a trick question, they are all ridiculous. We have decades of mis-management. From congress continuously running massive deficits, undeclared wars, unfunded liabilities, taxes, fees, central bank policies, bail-outs, government backed college/mortgage loans, drug wars, explosive prison populations, land right violations, congressional insider trading, Federal funded terrorism, Federal gun running, asset forfeiture, and a host of other things I’m sure many others can point out. Phew! It’s no wonder people have turned to Bernie and Trump, the people no longer want insiders. It can be argued if Bernie and Trump are true outsiders or not, but it’s the perception of the masses that matter and they are pissed even if they can’t put their finger on the cause of everything. I am going to have to agree with Martin Armstrong on this matter, Bernie and Trump showing up are the symptoms not the cause of decades of cronies, insiders and the deep state making the common man’s life more and more difficult and uncertain. The BREXIT vote coming up at the end of the month will cause volatility. George Soros has come out of hiding and is personally betting against U.S. stocks and buying gold miners. Remember George Soros can remain solvent longer than you can remain rational…. or something like that… I forget how the saying goes now. I wish I could say I know what’s coming and when. Board members think it’s the calm before the storm. Proper asset allocation that includes precious metals is a must if you want to ride out what’s coming. Thinking a bit more after my article on why Walmart should buy B&N, I started thinking more about the advantages of Amazon to traditional retailers and how Walmart and other retailers could effectively compete. 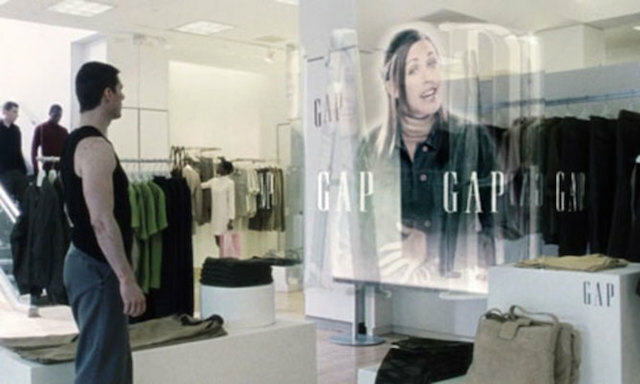 How can a brick and mortar store compete with the ecommerce giant? Amazon gets to know you very well. You let Amazon know exactly who you are, they have your purchase history, when you buy, how much you buy and why you buy. While I assume Walmart certainly tracks as much as it can, how many people come in the store, what items are selling what items are not, and probably basket analysis (aka Co-occurrence). The store however does not know who you are and your specific history. BTW, I am bullish on Walmart right now. You look at your phone and are prompted to sign into Walmart’s free Wifi which will automatically also signs you into the companies website Walmart.com. Settings and agreements on your phone can be managed so that this sign in process automatically happens when you walk into the store. Walmart.com knows that you are ‘in-store’. You pick out a shopping cart which has a unique identifier and links the shopping cart to your in-store shopping session. The shopping cart also has a build in wireless charger for your phone. You pick up an item place in your cart, the item shows up in your online walmart.com shopping cart as well. Possibly tracked by RFID and your phone. You walk down the aisle and notice your favorite beef jerky is out of stock. You hold your phone and scan the QR code, the product enters your cart anyway notifying you it will be shipped within a few days to your home. You are all done shopping. You hit ‘Proceed to Check-Out’ on your phone. You are offered an additional discount off the total price for using this system. Your beef jerky was also qualified for free shipping. You hit the final button and pay. Being a good environmental shopper you brought your own bags and a employee shows up to offer you help out with a big smile as you avoid the check-out line. Now Walmart knows who you are, they can build a history and send you precision type ads and notifications. You equally become use to shopping online with their site. While the above is extremely complex and needs to integrate data centers, single-sign on, location, RFID and shopping cart tracking it is possible. Obviously this would need to be tested with a small number of stores first. But the above shopping experience would provide a huge competitive advantage with Amazon.com. Maybe the above is already being developed? Amazon.com could also end up partnering with retailers to offer the in-store website shopping service as well. The above shopping scenario could very well be the future. Well it happen? I have no idea. This is really just me thinking out loud as a fun exercise. But this is what I would be thinking about if I was an executive at a major retailer. Now, I realize this sounds like one step away from facial recognition personalized shopping like in the movie Minority Report. The cell phone step would make the transition less terrifying for most people. Folks will no doubt also be concerned about privacy. I believe there will be a market for those not willing to give up their privacy. 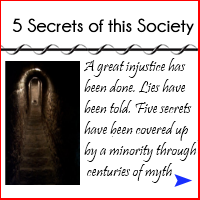 When we tend to move far in one direction in society, something else seems to arise to counter. I am an advocate for anonymous based browsing and shopping and I hope the two worlds can co-exist. Yesterday I explained that I do not believe we are going to see a “correction” as bad as something like 08/09. I stated that after this 6 year bull market people should expect stocks to drop at some point. Today I am going to elaborate a bit more on why I think the current stock market drop won’t turn into a catastrophe (at least in terms of the Dow Jones). First there is major support for the Dow at 12,000 points. You can see it in the chart below. If the Dow drops to the 12,000 from today we are looking at a further 12% to 15% drop. The last time the Dow was at this level was back in 2011. So, why do we know that there are strong hands at this level? I can give you a concrete example using Johnson & Johnson. Lets say you bought shares of JNJ in 2011 when it was trading at $65 a share. Today it JNJ is trading for around $92 so you would have a 30% capital gain. Not to bad. Now here is the important part, since 2011 JNJ has raised it’s dividend 6 times! JNJ now pays out a total of $12.92 a year per share in dividends. Your new effective yield would be 12.8% a year (65/12.92 * 100)! Ok now let me as you this, what would it take for you to freak out and sell shares in one of the oldest companies on the Dow Jones that raises its dividend every year and makes tons of freaking money? Would you rather collect almost 13% a year from this company or put your money in the bank for a chance at 1% interest? “Sure” you say, “But what about one of the less attractive stocks of the Dow?”. Lets do the same thing with McDonald’s. I think we can all agree that McDonald’s has not been popular. The trend is to better restaurants and McDonald’s revenue has been declining and some stores have been closing, however they still are the biggest restaurant in the world. Lets say we bought MCD for $80 a share in 2011. Today we would have about a 13% capital gain, not that great but better than a kick in the teeth. MCD has raised their dividends 5 times since 2011, and you effective yield would 4.25%. Not awesome like JNJ but really not that bad either and still a lot better than the bank. So what would make these stocks plummet past their 12,000 support level? You got it! Slashing dividends. If you see various Dow components start to cut their dividends then you should know there is a serious problem. I’m not saying it won’t happen, but I doubt to the extent of 08/09 where just about every company was slashing left and right. Now of course I’m just talking about the big guys in the Dow. If you have a lot of stocks that are growth stocks, stocks that have a good story and are more speculative you are going to be experiencing a lot of volatility. Please use trailing stops! I am currently making a free trailing stops system that I will make available to you. If you haven’t already please enter in your email over on the right hand side of the page to get updates. Protecting your capital and limiting your losses is the most important thing you can do if you have entered into the stock market. Filed Under: Equities Tagged With: JNJ). U.S stocks have been in a bull market now for the last 6 years. It seems as though a correction should not be coming out of left field for everyone. Hopefully your discipline has led you to keep some powder dry (cash) and you are building a great watch list of companies you would like to own. My suggestion is to watch companies that you KNOW will be around a couple of decades from now and love to reward their shareholders with dividends. Now the tough part is to wait. While stocks are entering a new phase, gold is holding steady up $4 bucks. This is why folks need to have true diversification. The pro’s in the investment world often only talk about stock diversification. The say being diversified in all types of stocks will protect you. But what if the entire market is going down? What if Europe and Asia are also going down? This is why having at least 10% of your wealth in precious metals is important. It is why also owning real estate is important. It’s even important to own bonds, even at the end of what must be a 30 year bull market. The 10-year treasury is now back under a 2% yield. The Dow was down as much 1,000 points this morning, and is now hovering down around the 400 mark, this after being down around 500 points on Friday and 300 last Thursday. We will have to see where it ends up at the end of the day. This reminds me back 2008 when we had the Dow 777 drop. My thinking goes that this correction will not nearly be as bad. This correction should be more expected than in 2008/2009, but there are no guarantees. Raise cash and build that watch list! You owe me $5 bucks, here is my phone number. I just sent some money to a friend to pay for my dues for our softball league. I sent it using my phone with the Square App. You may have used this technology before. I was at a bar with some work friends and instead of splitting the check, one person took care of it on his credit card and the others sent him cash for there beers, while one person sent money via Venmo on his phone. There are now tons of ways to send money via your phone. 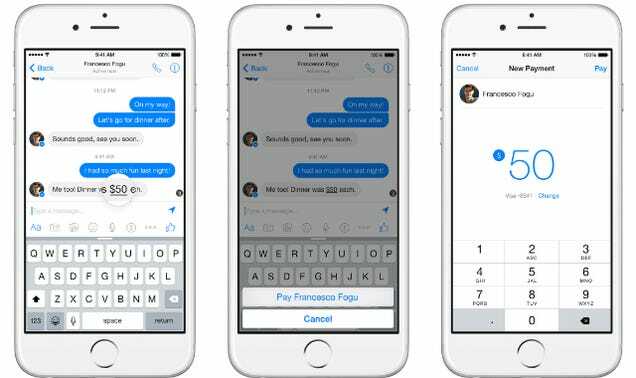 There is Apple Pay, Google Wallet, Pay Pal, you can now even send money to a friend via Facebook. We are rapidly becoming a cashless society. It is not stoppable. There are lots of advantages to being able send people money via smart phone. For one it will be much harder to get robbed especially as security improves. It is also extremely convenient. You read that right. Cash is now illegal to use at garage sales in the state of Louisiana. I won’t blame you if you get all revelations on me, but I’m not sure what good it will do. In any case what the heck am I getting at here? Oh yeah! Here at Tao Economics we view both yin an yang. When one side gets tilted something else seems to pop up to counter. In the case of government tracking all your banking transactions the counter may just be bitcoin. It is possible to track bitcoin transactions, though you can run your blockchain through a tumbler making it very difficult to track in the sense that no law enforcement will have the time to put together the jigsaw puzzle that makes your transaction. I don’t know if bitcoin will stand the test of time or if something else will take it’s place, but I believe digital anonymous transactions will become easier and more frequent down the road. One last thought on bitcoin, it is much easier to move bitcoins out of the country than it is gold. This is not a knock on gold. Make sure you have monetary insurance in the form of precious metals if you do not, but it may just be worth having some bitcoins as well. Heck Greece found bitcoins be to quite helpful during 30 minute wait times to access a ATM. Or why not combine the two! There is something new out there called bitgold. It combines bitcoin like transactions that are backed by gold. Cash is not dead yet and it may be vital to keep some good old cash in your home. Multiple financial newsletters I have read recently point out problems of people trying to withdraw large amounts of cash. Many times the bank will not have the cash they want and we are talking in the $2,000 range. What if a crisis hits and there isn’t enough cash to go around? There really isn’t that much actual physical currency compared to all the 1’s and 0’s floating around. The velocity of money is dead. The velocity of money is how fast money changes hands and it has never been so low. 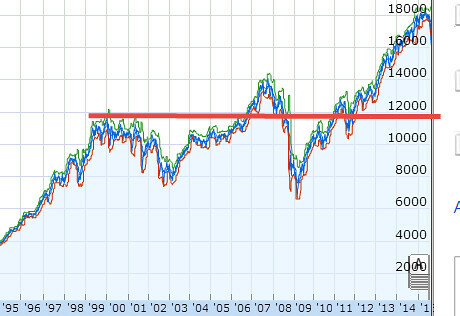 The chart above shows the extreme, and when something gets extremely lopsided we will eventually see a reversion to the mean. My prediction is that new mobile phone payment systems will increase the velocity and that inflation will eventually pick up again. However, I do not believe the velocity will pick up right away, in fact we could see the velocity taking some time to bottom as deflation is still the bigger threat at the moment. Bottom line, make sure you have physical gold for monetary insurance and physical cash in your home to get you buy in case of an emergency.